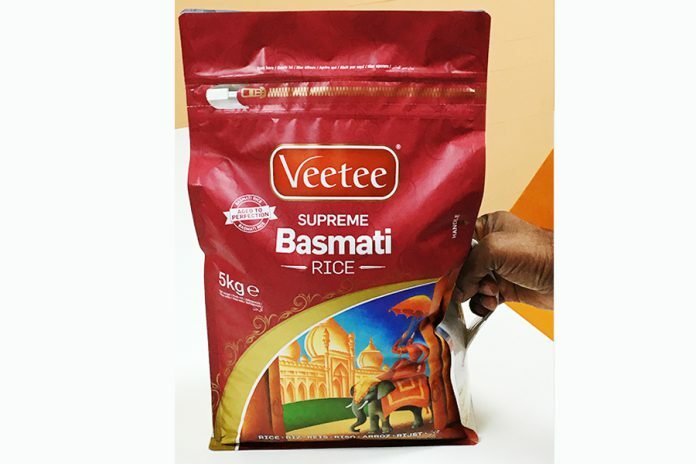 Veetee, one of the largest basmati rice suppliers in the UK, was facing challenges that were undermining its overall brand value. Its larger bags were diminishing in shelf impact at the point of sale. The bags were also difficult to stack with frequent slippage while consumers were facing difficulty in carrying the large bags as well as in opening them. Uflex approached Veetee with a holistic solution that overcame these challenges while also enhancing the brand’s shelf impact. It offered Veetee a flexible pack with a slide to close zipper for front openability and front, back and bottom panels made with a 3-ply structure comprising stackable and metallized polyester, and polyethylene as a sealant layer. The side panels and gussets are made of polyester and polyethylene, which allow transparent windows on either side so that consumers can see the rice inside. The re-closable feature of the bag allows them to use as much rice as they need at a time while preserving its quality and aroma. The barrier properties of the bag remain intact throughout the usage the product. 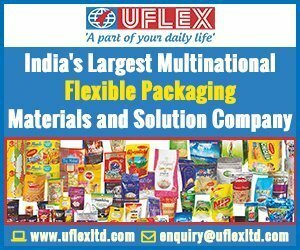 Anup Sachdeva, joint president ‒ Packaging (Global Exports) at Uflex says, “One of the major pain points that Veetee had been facing was the stiff punch handle that their erstwhile European converter was offering. These punched handles used to almost slit the fingers of the consumers buying 10 to 15 kilogram bulk packs. In the bespoke packaging solution that we engineered for Veetee Rice, we have offered a handle that’s on the side gusset. It is baby soft and is made of a special proprietary polymeric composition. No other convertor across the world has been able to offer such a soft side handle. When consumers hold the rice pack through side handle, the center of gravity of the load shifts downwards. This reduces the potential energy of the pack concomitantly lessening the strain in the hands of the consumers. This is pure physics! 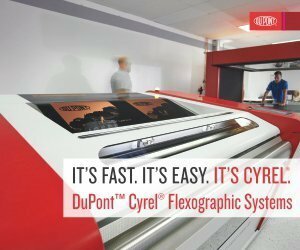 In addition, Uflex used the Extended Gamut Printing Process (EG-7) on the rotogravure press to enhance the color gamut and to help in standardization of the print run. The press was standardized on CMYK + 3 special inks (orange, green and blue). By adding these three inks to the traditional CMYK inks a larger gamut could be produced and with less variation throughout the run. “This actually worked wonders in getting that unmistakable and alluring shelf appeal that the client had been yearning for. The pack has 5 panels that are fully utilised for offering a 360 degree branding canvas and emphatically engaging the consumers at the point of sale,” says Sachdeva. 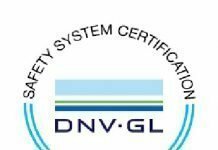 For preventing flexible pouches and bags from slipping and maintaining orderliness of the stacks, the company’s films business has engineered a special stackable polyester film. Earlier, an expensive paper with a high coefficient of friction was manually placed under each stacked layer during palletization. 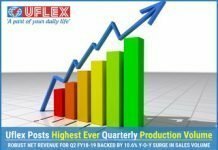 The Uflex engineered solution for Veetee clearly obviates these costs and it has apparently replaced Veetee’s earlier European supplier of many years. 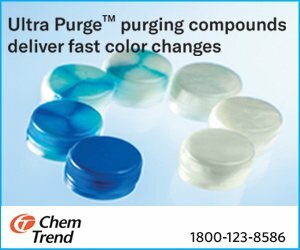 While the solution for Veetee has attracted interest from other brand owners around the world, the company’s clients already include many global brands including P&G, PepsiCo, Tata Global, Mondelez, L’Oreal, Britannia, Haldiram, Amul, Kimberly Clark, Ferrero Rocher, Perfetti, GSK, Nestle, Agrotech Foods, Coca-Cola, Wrigley and Johnson & Johnson.